Congratulations! You win 194 bonus points with this purchase! ColourVue Sclera Full Eye Lens 22 mm (2 lenses) – non dioptric. ColourVUE Sclera are new coloured lenses which are available in unusual colours and designs. With these lenses you can achieve a truly supernatural and dramatic appearance. ColourVUE Sclera contact lenses have a diameter which completely overlaps the entire visible portion of the eye, including the sclera. If you want to change the colour of your eyes or be the centre of attention at every party, ColourVUE Sclera lenses are the right choice for you. 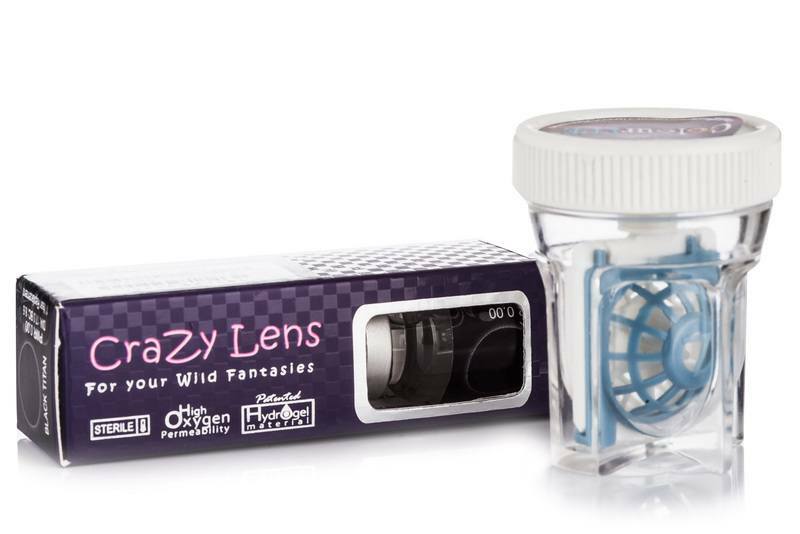 The lenses come in small individual plastic bottles that could also be used as lens cases. The lenses are designed to be replaced every 6 months. Due to the size of the lens and their visual coverage they are not recommended for driving. The delivery time for some colours can reach up to 4 weeks. Lenses come in a re-usable lens case. These lenses are not suitable for all day use. Unfortunately you'd have to get one box for each eye. I'm sorry, but we cannot open the boxes to mix the prescriptions. Can I get 22mm sclera lenses with -4 prescription? Hello, Are these lenses FDA cleared? Hello, I've been looking for cheap sclera lenses on the Internet for a long time now and once I saw these, I hoped you would have dioptric ones as well. But, unfortunately, you do not. So, I am wondering if you will make them available anytime soon?? Thanks. Dear, Thank you for writing to us. I am afraid we do not have dioptric ones and we are not planning to have them soon. These lenses are cosmetic only and they may not be comfortable to wear for too long. Please check with your optician, he or she may be able to prescribe to you the ones you can wear. I hope my reply helped. Thank you for writing to us. Hello, Is is possible to get lenses -2 ? Thank You. No, these lenses are without dioptics. You can find some alternative with –2 dioptrics like this maybe, https://www.lentiamo.co.uk/…ioptric.html. Should you have further questions, get in touch via email or give us a call.